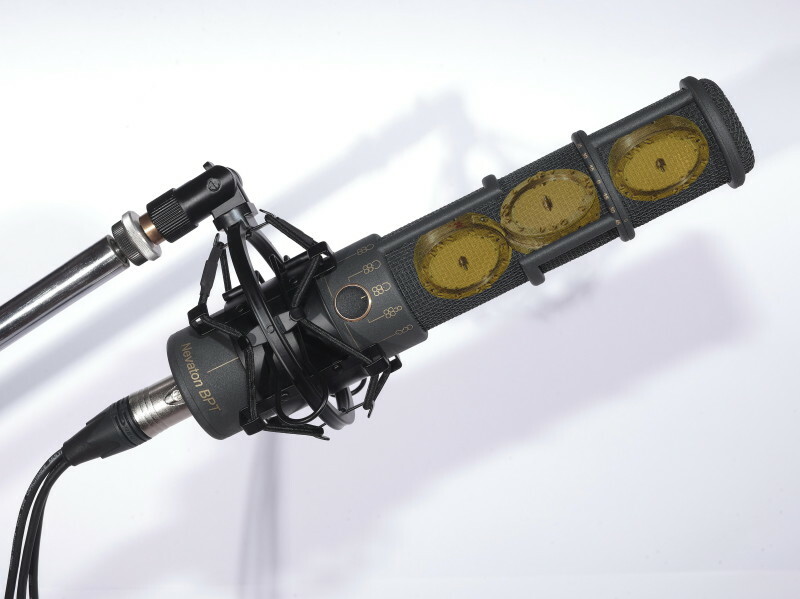 Based upon a design by the head of the acoustics department of the Salzburg Festival, Dr.Edwin Pfanzagl-Cardone, Nevaton manufactures this unique microphone which adds a third (forward facing) capsule to the well known Blumlein pair and gives the sound-engineer the possibility to add as much acoustic focus to the center image as needed. In addition to the stereo mode, the BPT can record in surround in a very uncomplicated and straightforward manner and offers switchable directional patterns for maximum flexibility and a wide variety of recording techniques. All this in one single microphone – NEVATON BPT!